The Communications Ministry has invoked special powers to try and lower accidents at this year's upcoming Songkran holiday. Minister Arkhom Termphitthayaphaisit announced that he is using Article 777 to demand action to safeguard more highways and rural roads. This year some 155 roads are under the special measures. Last year it was just 88. The Highways Department will look after 115 of these spots and the Department of Rural Roads will handle the other 40. Many are mountainous roads that are familiar accident black spots. The aim is to have 10% less accidents this year, said Arkhom. The ministry is on alert for the seven days prior to the festival, the seven so called "deadly days" of Songkran and the seven days after. Thaivisa notes that if past years are anything to go by somewhere between one thousand and two thousand people are likely to lose their lives in that 21 day period. 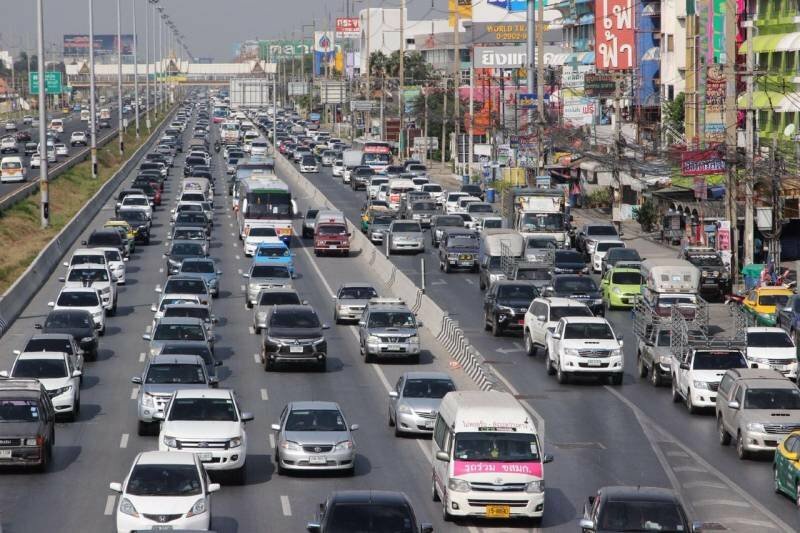 An average of about 70 people die on the nation's roads every day not just at Songkran. Safety measures to offset this at Songkran are always introduced as the festival sees millions more on the roads celebrating and going to their homes in the countryside. Article 777 is urging all parties concerned to pretend to do something. What a name; 20 letters. Only know two people with a longer name. One of the Royal family members and Miss Plapawadee, who won the gold in the weight-lifting a couple of years back at the Olympics. He will sort it for the country. ps;;;; 777 for the lottery next time guys. pps;; will not be much of a songkram in our area. Run out of water last week. Unless, of course, they chuck lao khow. So extend it from 7 days to 21 days, sounds like one bigger reason for an extended pi$$ up to me, with at least the doubling of deaths on the roads, another Thai genius idea with little thought gone into it, brilliant ! Yes, and a large hog has been spotted cruising at thirty thousand feet. Last songkram was a sad time for me. I went to the farm as usual, on the last day, to feed my koi carp. I thought there was something wrong as soon as I went to pond 6. It was almost as though there were no fish in there. I threw in some food and watched. Gradually, the koi started to show. It was obvious something was amiss. They had been shocked*. Carp are not one of the better tasting fish, so I think it must have been an act of lao khow spontainiosity. Sort of good idea at the time, while downing the local rice wine. This year I'm gonna stay at the farm. I reckon they (whoever they are) will be back for some more fish this year. * It actually took about a week for them to return to normal. Just report 10% less like you plan to do anyway and spare us the drivel. I always kind of shake my head whenever this seven days or other period comes up regarding reducing accidents. Why the hell do they not come up with a concrete plan to reduce the carnage 365 days a year? Even a 10% reduction would save a couple of thousand lives, not to mention the misery of the injuries and subsequent disabilities. I feel sorry to hear this. I also lived at ISaan a long time ago but avoided buying or having anything that Thai people can just help themself to easily like this.